The downtown area. This tour will be of interest to anyone who is curious about the fabulous buildings of San Miguel. You will see different architectural styles that span a 400-year period. It is an architectural area frozen in time with laws to protect it. 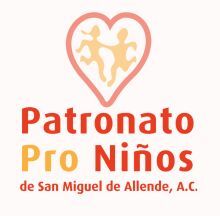 Your donation goes to support the work of Patronato Pro Niños, a non-profit organization that has provided dental and medical care to the children of the neediest families within our community and outlying area, since 1970. Groups meet in the Jardin across from Parroquia at 9:45 AM and leave by 10:00 AM. No reservation is needed, but we do limit the size of the groups. Cost: 350 pesos. To schedule a private tour call 415-152-7796 during office hours or email historicalwt@patronatoproninos.org. You pick the tour’s date and time. The donation for private architectural tours for 1-4 people is 1800 pesos. Add 450 pesos for each additional person over the initial four. I have been living in San Miguel part time for several years. I was delighted by so much information that was new to me. Really excellent tour. Thank you Peggy!